Streck, C., Harris, N., Hayward, J. and Brown, S. 2013. “Analysis of Approaches for REDD+ Verification.” Prepared for U.S. Department of State under cooperative agreement #S-LMAQM-13-CA-1128. 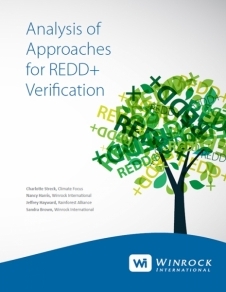 In this paper, the authors present three approaches to REDD+ Verification, with varying levels of effort and involvement by experts and parties.